Family Adopts Four at Once! OCONOMOWOC - Imagine going to bed one night, safe and snug in your home. Imagine the next day being on a different continent with four more children in your family. For the Heckenkamp family, it wasn't a bizarre "Twilight Zone" experience but reality when they chose to expand their family through adoption three years ago. "Every day is a party," said big brother Mike Heckenkamp, 19. "And a lot of baby-sitting." After years of prayer and discussions about adoption, Dan Heckenkamp and his wife, Kathy, decided to take a leap of faith, selecting the Waukesha-based agency, Bethany Christian Services, to help them. "We knew we wanted to adopt more than one and that we wanted siblings," said Dan Heckenkamp. "We decided we would take up to four." 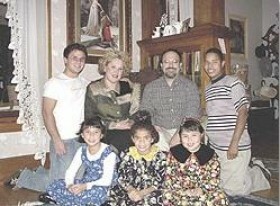 On Nov. 6, 2000, they flew to Colombia and for several weeks stayed in a hotel getting to know the spirited children. "We called home to Joe (the oldest son, 22), and he could hear the children yelling and playing in the background," Kathy Heckenkamp said. "He kept saying, 'Mom, you know, you don't have to do this.'" But they did, and come Thanksgiving day, they returned home to snow-covered Oconomowoc with the newest members of their family: Andres, Valentina, Laura and Lulu, now ages 14, 9, 8 and 6, respectively. "Andres asked what the white spots were," Dan Heckenkamp said. "They loved it." The children only spoke Spanish and were unfamiliar with American food. They ate rice all three meals a day, but after a few months, they ate anything, Dan Heckenkamp said. "Andres was most scared of trying new foods," Dan Heckenkamp said. Today, Andres loves tacos and buffalo wings, his father said. Valentina likes lasagna and soups. Laura also enjoys soup. Lulu likes sweets but also likes chicken. Lulu, who considers herself clumsy, recently achieved a milestone. "I can tie my own shoes," she said. 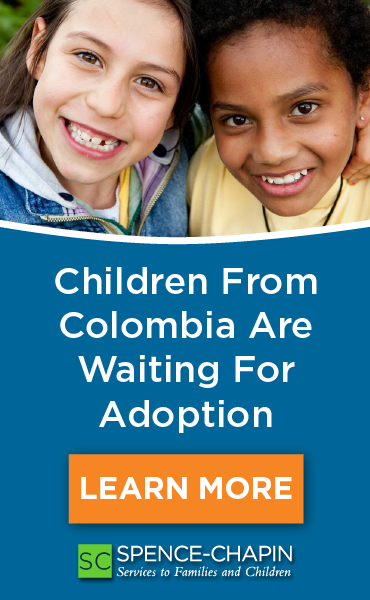 To prepare for adoption and the transition, the agency requires parents to go through a home study program in which they are evaluated and learn the possibilities of all that could happen, especially when adopting older children. "We were warned of all the hazards, like our house could be burned down," Dan Heckenkamp said. "If you couldn't get through the home study, you shouldn't adopt." Part of the home study process included education, particularly the Nancy Thomas Program. "The Nancy Thomas Program is a regimented program for kids who have been hurt by circumstances," Kathy Heckenkamp said. "The kids need attention, and you need to correct behavior and reinforce love by being positive." The Heckenkamps also chose to school the four children at home. "A clinical psychologist agreed that it would be best," Kathy Heckenkamp said. "The children have so many new things to adjust to. It (homeschooling) helps to bond." "I like doing math with my dad," Andres said. While the initial months were very tiring, the experience continues to get better, Dan Heckenkamp said.